Two woman have accused the astrophysicist and TV personlity of sexual misconduct, prompting an investigation from Fox, National Geographic and Cosmos producers. Tyson's former assistant, Ashley Watson, alleges she was forced to quit her job over Tyson's unwanted advances. Also, Dr. Katelyn N. Allers, an associate professor of physics and astronomy at Bucknell University, is accusing Tyson of groping her in 2009. “The credo at the heart of Cosmos is to follow the evidence wherever it leads,” Cosmos producers said in a statement to Deadline. “The producers of Cosmos can do no less in this situation. 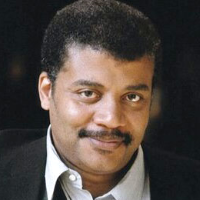 We are committed to a thorough investigation of this matter and to act accordingly as soon as it is concluded.” Fox and National Geographic added in a separate statement: “We have only just become aware of the recent allegations regarding Neil deGrasse Tyson. We take these matters very seriously, and we are reviewing the recent reports.” The second installment of Cosmos, titled Cosmos: Possible Worlds, is scheduled to premiere on Fox on March 3.